Now celebrating its 40th anniversary, Yen & Jaffe’s Reproductive Endocrinology, 8th Edition, by Drs. Jerome F. Strauss III, Robert L. Barbieri, and Antonio R. Gargiulo, keeps you up to date with the latest information on the diagnosis and management of the full range of female and male reproductive disorders. 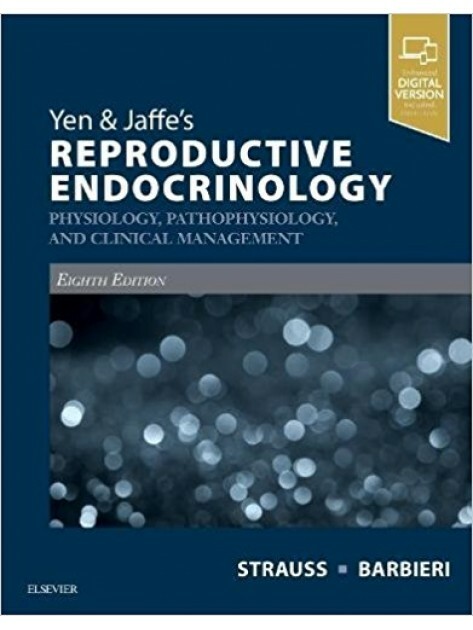 This cornerstone text thoroughly covers both basic science and clinical practice, making it a one-stop reference for all reproductive issues, including impaired fertility, infertility, recurrent pregnancy loss, problems of sexual development, menstrual disturbances, fibroids, endometriosis, female and male reproductive aging, fertility preservation, assisted reproduction technologies including ovarian stimulation and ovulation induction, transgender hormonal treatment, and contraception. Every chapter has been completely revised and updated to reflect important changes in this fast-moving field.